TrafFix Devices ANSI/ISEA Class II Safety Vests come in a variety of styles and colors to meet your safety needs. Whether you need a high visibility, reflective safety vest or a highly reflective supervisors vest with pockets, TrafFix Devices has the vest to suit your needs. 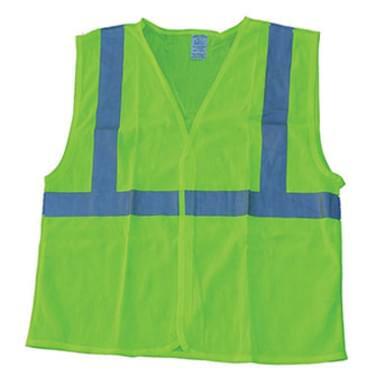 Lime ANSI Class II lightweight polyester vest with two (2) 2" horizontal and two (2) 2" vertical silver reflective stripes. The vest has no pockets and a front Velcro closure. Available sizes range from Medium to 4XL. 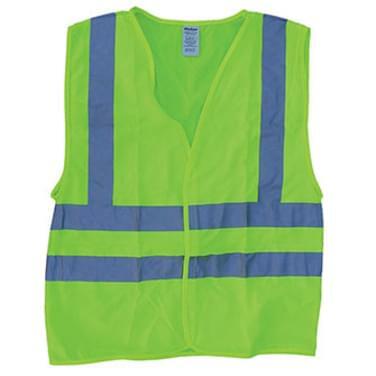 Lime ANSI Class II lightweight mesh vest with one (1) 2" horizontal and two (2) 2" vertical silver reflective stripes. The vest has two (2) sewn on pockets, one (1) inside patch pocket and one (1) outside left chest cell phone pocket, and a front Velcro closure. Available sizes range from Medium to 4XL. 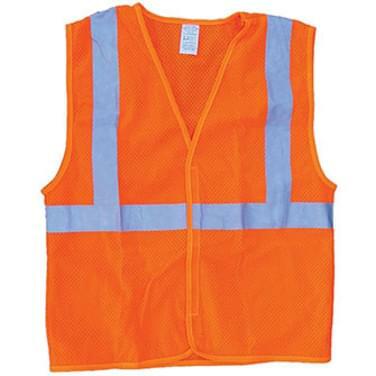 Orange ANSI Class II lightweight mesh vest with one (1) 2" horizontal and two (2) 2" vertical silver reflective stripes. The vest has two (2) sewn on pockets, one inside patch pocket and one outside left chest cell phone pocket, and a front Velcro closure. Available sizes range from Medium to 4XL. 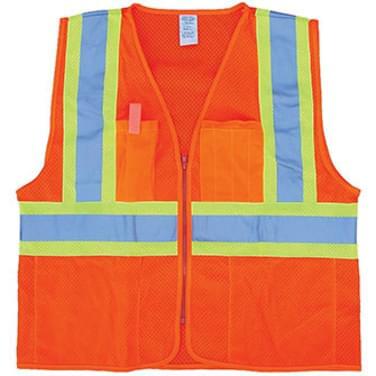 Lime ANSI Class II Supervisor's mesh vest with one (1) 2" horizontal and two (2) 2" vertical silver reflective stripes with Orange non-reflective 4" backing stripes. The vest has two (2) sewn on over-sized bottom pockets inside the vest, one (1) cell phone and one (1) pencil pocket located on the outside of the vest. This vest is complete with a heavy duty zipper closure and sizes range from Medium to 4XL. 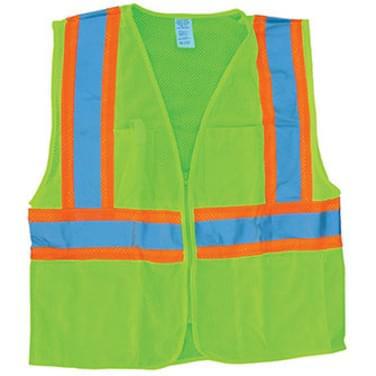 Orange ANSI Class II Supervisor's mesh vest with one (1) 2" horizontal and two (2) 2" vertical silver reflective stripes with 4" Lime non-reflective backing stripes. The vest has two (2) sewn on over-sized bottom pockets inside the vest, one (1) cell phone and one (1) pencil pocket located on the outside of the vest. This vest is complete with a heavy duty zipper closure and sizes range from Medium to 4XL.